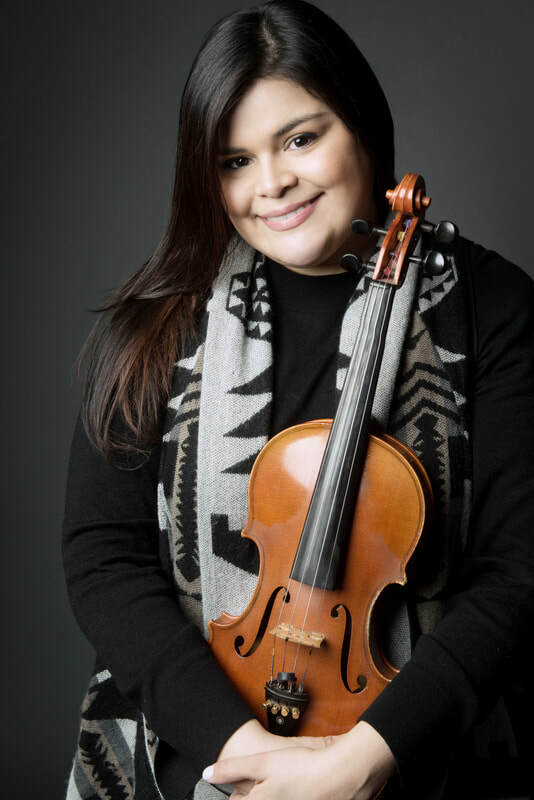 Dallas native, Lindsey M. Hernandez began playing the violin at age seven. She attended the prestigious Booker T. Washington High School for the Performing and Visual Arts and holds a Bachelors of Music Education in Instrumental Music degree from the University of North Texas. While in high school, Lindsey was a member of the Greater Dallas Youth Orchestra, The New Conservatory of Dallas and spent summers at the Apple Hill Center for Chamber Music in New Hampshire. Lindsey was also awarded a private lessons scholarship with the Dallas Symphony Orchestra's Young Strings program, studying with Sho - Mei Pelletier. Lindsey has dedicated the last 12 years to educating and developing young musicians as an Orchestra Director in Carrollton - Farmers Branch ISD and Plano ISD, where she was named the 2009 Beginning Teacher of the Year for Williams High School. She is currently the Director of Orchestras at Irma Lerma Rangel Young Women’s Leadership School in Dallas ISD. Lindsey is able to share her passion for music with students of all ages through her teaching with patience, understanding and her enthusiasm for stringed instruments. Believing in the healing powers of music and the expressive arts, Lindsey hopes to incorporate her counseling degree into her teaching. Supporting students to deeply connect with music is a way to not only meet their musical goals, but also gain a positive outlet and thereby healthy coping skills needed to meet any challenges that life may bring them.